X-Rays Meaningless for Arthritis and Back Pain? X-Rays, MRIs and CT Scans-Radiologists Love Them, But They're Usually Bunk! We've known for decades that spinal x-rays, MRIs and CT scans add very little information about back pain. Research also shows that, if back pain is present, radiologists tend to interpret x-ray results as confirming the presence of a host of horrific (and scary-sounding) problems. But if those same radiologists are shown x-rays and MRIs from both healthy people and people with back pain-they can't tell one group from the other. Nonetheless, doctors continue to scare people by telling them how horrible their x-rays look. And they continue to operate on people based on those x-rays-even though the x-ray results are often MEANINGLESS, with much of the back pain coming from muscular and ligament problems that are totally reversible WITHOUT surgery. The same folly applies to x-rays for arthritis. An exception? X-rays for rheumatoid arthritis may show the scope of and severity of the disease, and help guide how aggressive treatment should be. Now, another study shows the same type of radiological "madness" for TMJ/jaw joint dysfunction-with doctors reaching conclusions that simply aren't true-and unnecessarily operating on people based on these. Yet another study showing that X rays simply do not tell if the jaw joint is the source of jaw pain. And, here's a very practical way to protect yourself from unnecessary procedures based on mistaken conclusions. In the study, CT scans of the jaw joint showed that bony/arthritic changes on CT scan were VERY POORLY correlated with pain and other clinical signs and symptoms of TMJ. To put it more bluntly: the x-ray changes were mostly meaningless. But that didn't stop doctors from showing many patients the x-rays…telling them they had jaw joint problems…and recommending surgery to relieve their symptoms. Scary! If it hurts like the dickens, reproducing the TMJ-type pain, it proves the pain is coming from the MUSCLE-not the joint. For relief, the muscle simply needs to be RELEASED. The S.H.I.N.E. Protocol (www.Vitality101.com ) helps a lot with that release. So does applying creams containing anti-inflammatory and muscle relaxing medications (ask your local compounding pharmacist) topically over the muscle, 3 times a day, for 6 weeks. (Then use it as needed.) 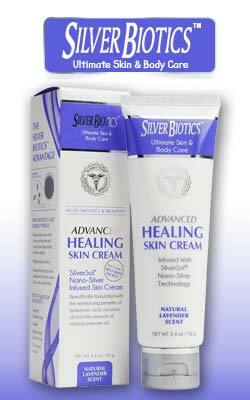 The cream is available by prescription from ITC Pharmacy (Phone: 303-663-4224). Your doctor can call in the prescription, to be mailed to you, and speak with the pharmacist, to get more information on the gel. In addition, remember that natural herbal mixes, such as End Pain and Curamin, can be dramatically beneficial for most kinds of pain! More good news? The jaw muscles seem to be involved with "setting" tension in other muscles throughout the body. When the jaw muscles start to relax, other pains go away as well! Next Article Recovering From Fibromyalgia—Am I Crazy?